The U.S. M1911/M1911A1 Pistols and Commercial M1911 Type Pistols: A Shop Manual (Vol 2 in the Kuhnhausen .45 Auto Series): Jerry Kuhnhausen: Books – A great follow-up to Volume 1. This is not a revision of Volume 1 and not a rehash of old military manuals! This book is absolutely loaded with new and updated material, parts dimensions and hardness specifications, and the nuts and bolts tech data required to dimensionally inspect, restore, repair and build super accurate, super reliable, “blueprint” quality carry and competition grade M1911s. Volume 2 adds to, but does not replace Kuhnhausen’s original Volume 1. 600 new drawings, graphics & photos specially produced for this superb new book.Click here for a sample page. This is not a revision of Volume 1- and not a rehash of old military manuals! This brand new super book is absolutely loaded with new & updated material, parts dimension & hardness specs, and the nuts and bolts tech data required to dimensionally inspect, restore, repair & build super accurate, super reliable, “blueprint” quality carry and competition grade M1911’s. With Kuhnhausen’s original Volume 1 and the new Volume 2 – you have in hand more practical M1911 info & tech data than ever before published in the entire history of the U.S. M1911 & M1911A1 Pistols! The Colt .45 Automatic. A Shop Manual, Volume 1. Jerry KuhnHausen is a detailed book which is extremely practical for every level of gunsmithing knowledge. 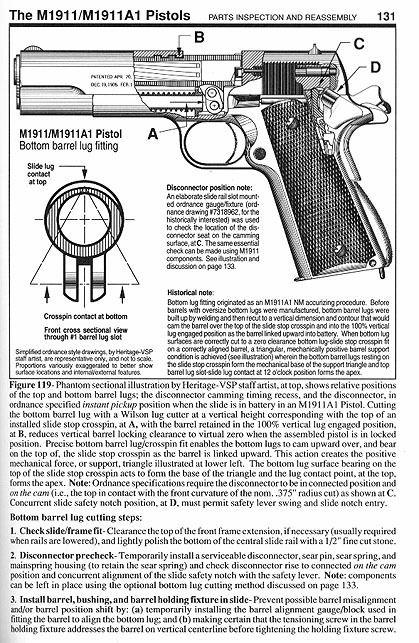 This manual covers the 1911 from the lanyard loop to the barrel bushing. Contains useful information on inspection, part selection, part installation, trouble-shooting and function testing. 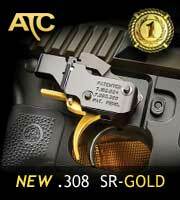 Also shows tricks the pros use to turn stock 1911s into full-blown carry and race guns. Contains instructions and illustrations on assembly and dis-assembly, pitfalls to avoid and areas to check for the best performance. 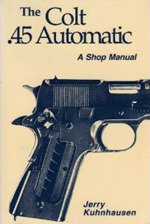 The Colt .45 Automatic: A Shop Manual Volume 1 – By Jerry Kuhnhausen. A detailed book which is extremely practical for every level of gunsmithing knowledge. This manual covers the 1911 from the lanyard loop to the barrel bushing. Contains useful information on inspection, part selection, part installation, trouble-shooting and function testing. Also shows tricks the pros use to turn stock 1911s into full-blown carry and race guns. Contains instructions and illustrations on assembly and dis-assembly, pitfalls to avoid and areas to check for the best performance. 202 Pages – Softcover. Almost every gunsmith, professional or amateur, has heard the name Jerry Kuhnhausen. For over 40 years, he’s been known as one of the best gunsmiths in the United States. For the past 20 years or so, Jerry’s been living in Idaho where he spends much of his time writing and publishing gunsmithing books. He has written 24 shop manuals and is an NRA life member. 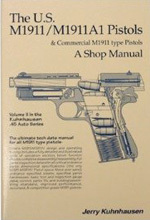 222 pages with plastic laminated soft cover: With the expanded 9th edition, the original and time tested Colt 45 Auto/M1911 pistol bench manual is now in its 17th printing and remains the best bench inspection, trouble shooting, repair, hand fitting and basic accurizing manual ever published on the subject. Hundreds of photos and illustrations. Covers the Colt Government model, including series 80’s, and the U.S. Military M1911 and M1911A1 models. Includes the only really detailed instructions on fitting barrel and link that we’ve seen in print. With the popularity of the .45 still growing, this book will pay for itself many times over.